Largest financial institution in the Middle East and Africa (MEA) region, QNB Group, has announced its results for the year ended December 31, 2017. However, the financial results for 2017 along with the profit distribution are subject to Qatar Central Bank (QCB) approval. A breakdown of the financial statements showed that the lender, for the year ended 2017, grew its net profit by 6 percent compared to last year to $3.6 billion (QAR13.1 billion). Also, its total assets increased by 13 percent from December 2016 to reach $223 billion (QAR811 billion), the highest ever achieved by the Group. In addition, the Board of Directors has recommended to the General Assembly for the distribution of a cash dividend of 60 percent of the nominal share value (QAR 6.0 per share). Key driver of total assets growth was from loans and advances which grew by 12 percent to reach QAR584 billion ($161 billion). Also, QNB Group increased customer deposits by 16 percent to reach QAR586 billion ($161 billion) from December 2016. This led to QNB Group’s loans to deposits ratio to decrease from 102.7 percent in December 2016, to reach 99.8 percent as at 31 December 2017. The Group’s drive for operational efficiency is yielding cost-savings in addition to sustainable revenue generating sources. 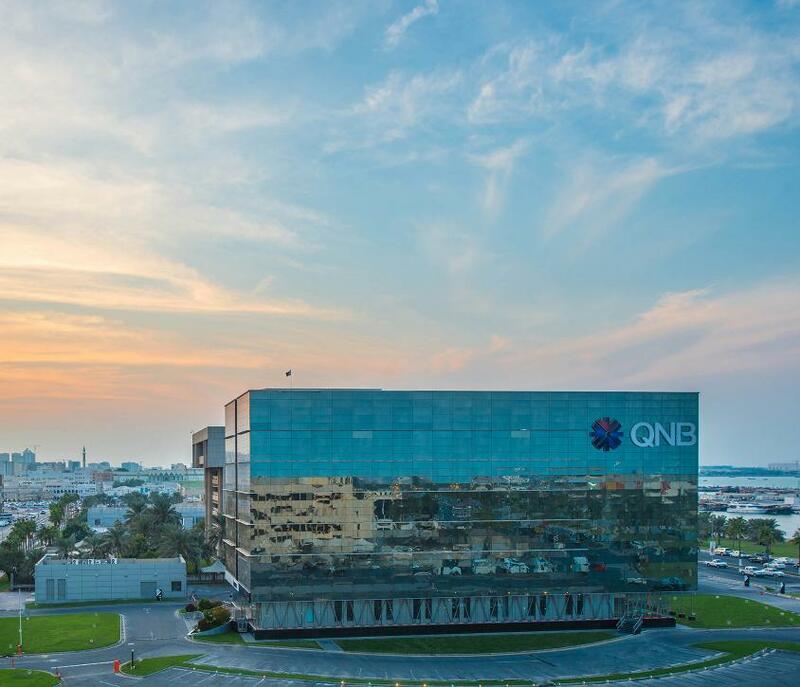 This helped QNB Group to improve the efficiency ratio (cost to income ratio) to 29.1 percent, from 30.4 percent last year which is considered one of the best ratios among large financial institutions in the region. The Group’s conservative loan loss provisioning policy and strong recovery efforts helped reduce net impairment charge on QNB’s loan book during the year demonstrating strong credit quality of the bank’s core asset base. Also, the stock of non-performing loans ratio of 1.8 percent as at 31 December 2017 has been witnessed on a consistent basis, year on year, reflecting the high quality of the Group’s loan book and the effective management of credit risk. The Group’s conservative policy in regard to provisioning improved the coverage ratio to reach 112 percent as at 31 December 2017. Total Equity increased by 11 percent from December 2016 to reach QAR79 billion (USD22 billion) as at 31 December 2017. Earnings per Share reached QAR13.7 (USD3.8), compared to QAR13.1 (USD3.6) in December 2016. Group Capital Adequacy Ratio (CAR) as at 31 December 2017 amounted to 16.49 percent, higher than the regulatory minimum requirements of the Qatar Central Bank and Basel Committee. QNB Group was successful in tapping new markets for its long term stable funding requirements by the issuance of Formosa bonds in September 2017 under its Euro Medium Term Note (EMTN) programme and was listed on the Taipei Stock Exchange. Under this programme, a $630 million tranche was issued with a maturity of 30 years callable every 5 years. Formosa bond issuance is part of QNB Group’s on-going strategy to ensure diversification of funding and also reflects investor confidence in QNB Group’s robust financial performance. QNB Group serves a customer base of more than 22 million customers with more than 28,200 staff resources operating from 1,230 locations and 4,300 ATMs.